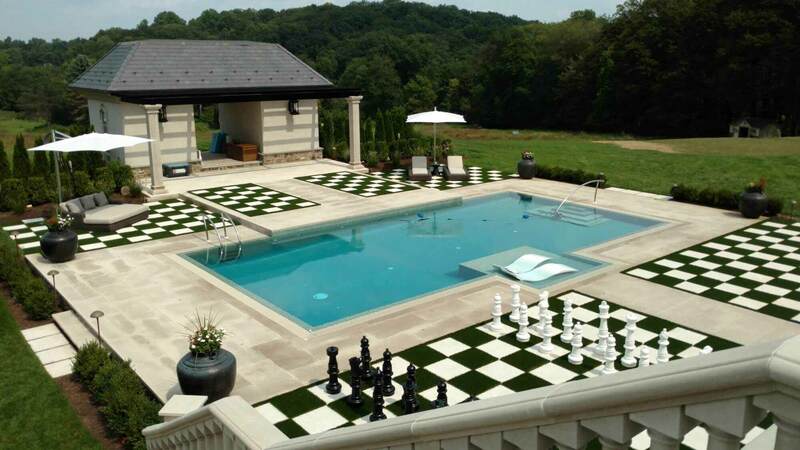 Our objective at Garden State Groundskeeping is to be the premier landscape company in our area by building partnerships that exceed our clients' expectations. Established in 1987, Garden State Groundskeeping has been proudly serving residential and commercial customers in Morris, Somerset and Warren Counties for over 30 years! We believe the true success of our business can be attributed to the individualized attention and quick response we provide to our customers’ needs as well as our well-trained and professional staff. As you browse our site, take time to browse all the many specific and unique landscape services we can provide. Also, enjoy our portfolio section which demonstrates our workmanship, exceptional designs and various projects. We thank you for your interest in our company, and are confident we can be the “right” fit for you and your property. We offer many services to make your home welcoming and appealing. Our services include landscape design & construction, landscape maintenance, brick pavers, stonework, bluestone, and much more. 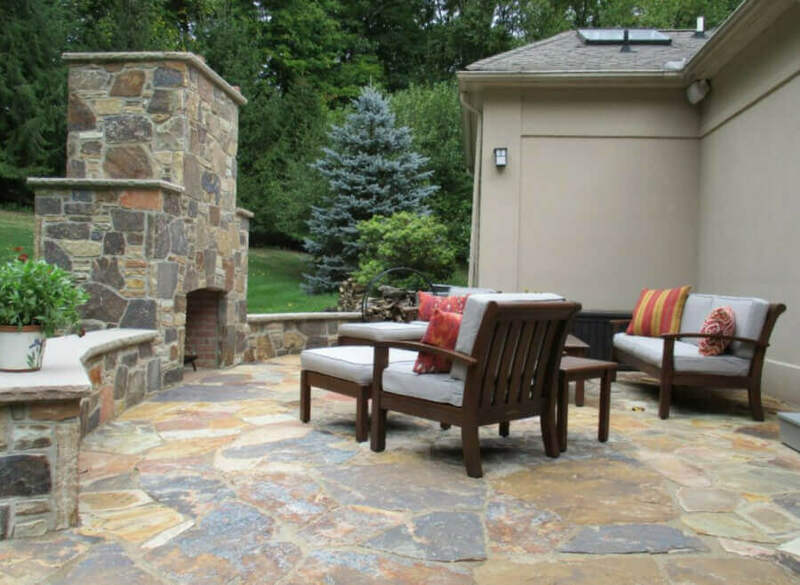 We hired Garden State Groundskeepers to build a large bluestone patio, masonry fireplace, covered room, landscaping, landscape lighting and do extensive masonry wall work at our home. This was a larger project. The project went very smoothly from the planning process to the date of completion. Over the three (3) months of the project not a day went by when workers were not present at the project. Glenn, the project manager, was at the project site every day and kept us updated on a nightly basis. The project was completed on time, within the quoted price and the site and our driveway were kept very clean. This was an extremely well run project. The attention to detail and service provided were second to none. Garden State Groundskeeepers exceeded our expectations and I recommend them for your project (large or small). We would highly recommend Garden State Groundskeepers. We have been using their services since we moved to the Chester area eighteen years ago. They are extremely reliable, helpful and professional. They always go the extra mile to deliver outstanding service. They not only provide excellent lawn care, but have been terrific in plowing our driveway during snowstorms as well. This past year, the crew actually shoveled a path to my bird feeder so that we could continue to feed our birds during the winter months! In addition, we have also used their services for a construction project and they have installed a walkway to our front entrance which we are very happy with. We have also recommended their services to several friends and they are very satisfied as well. Glenn and his crew have been working on our property for several years. They installed our brick patio in 2014 and it looks absolutely beautiful! See the photos of it under Traditional Patio. We enjoy it all summer long as an outdoor room. They worked with us to ensure that the bricks were the color we wanted, and the herringbone pattern in the walkway and patio were installed to perfection. They also completed the project in the timeframe that they projected, and within the budget that they estimated. Very pleased with the work and your employees were excellent! Ken handled everything very well and very courteous and paid attention to detail. I felt Ken went above and beyond. Nice doing business with you.